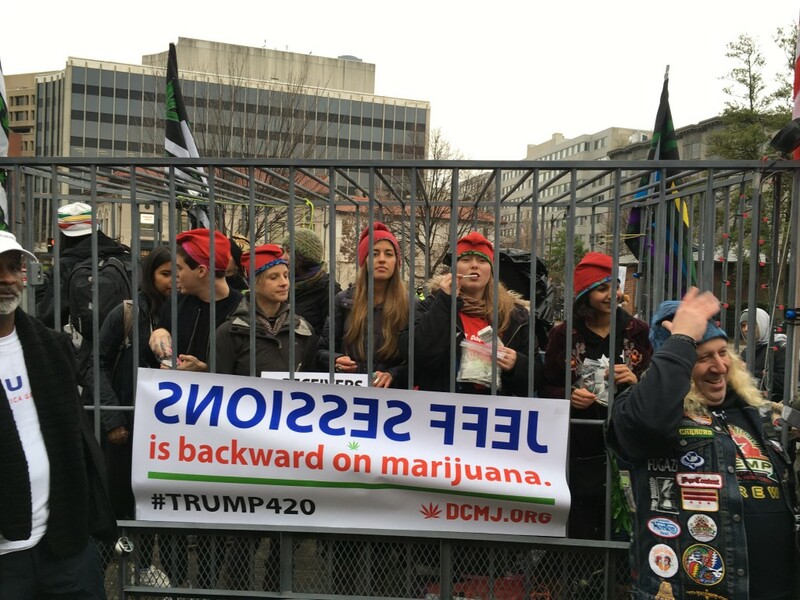 DCMJ, a Washington organization that has promoted and won legislation in the nation’s capital to allow legal marijuana consumption and possession in small quantiles, led the effort under the banner #Trump420. Larry Hartzell Jr., a #Trump420 volunteer, said that the event wasn’t about political parties but was about cannabis legalization. Hartzell said he fears Alabama Sen. Jeff Sessions, Trump’s choice for U.S. Attorney General, will be “taking us back to the Dark Ages,” because Session opposes the legalization of cannabis. Marijuana advocates plan to pass out thousands of joints during the inauguration. 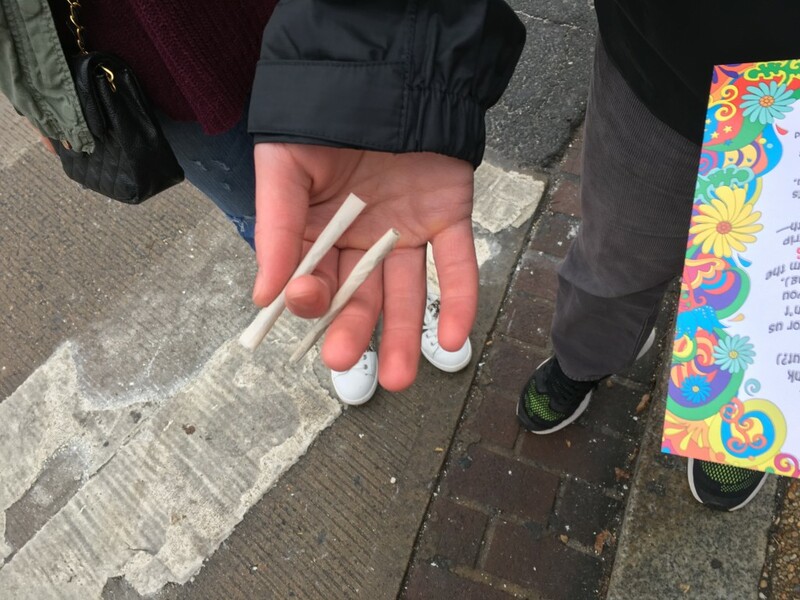 DCMJ passed out free joints to all those in the crowd who identified themselves as at least 18 years old. The group said it planned to hand out 4,200 joints. The crowd then paraded down to the National Mall, with the intent to “light up” four minutes and 20 seconds into Trump’s speech unless he states that he will fully support cannabis legalization. Maggie Fauver of Delaware NORML, a state chapter of the National Organization of the Reform of Marijuana Laws, said she was drawn to the event because she wants the incoming administration to understand the importance of cannabis as a form of medical treatment. Fauver said she would like to send a message to the Trump administration. The event attracted supporters and protesters alike. Those against the legalization argued with the large crowd about why the drug shouldn’t be legalized, citing religious texts and their personal experiences. Trump has said he believes the legalization of marijuana for medical use should be best left up to the states. Vice President Mike Pence is on the record for strongly opposing the legalization of marijuana. Kyra Azore covered the inauguration for the Howard University News Service.